Application - Wenling Tingwei Vacuum Equipment Co.,ltd. Automatic pumping line of refrigerator, air-condition water dispenser; refrigerant charging machine;helium leak detector; helium recovery system etc. Plasma sterilizers, vacuum freeze drying, vacuum mixing etc. 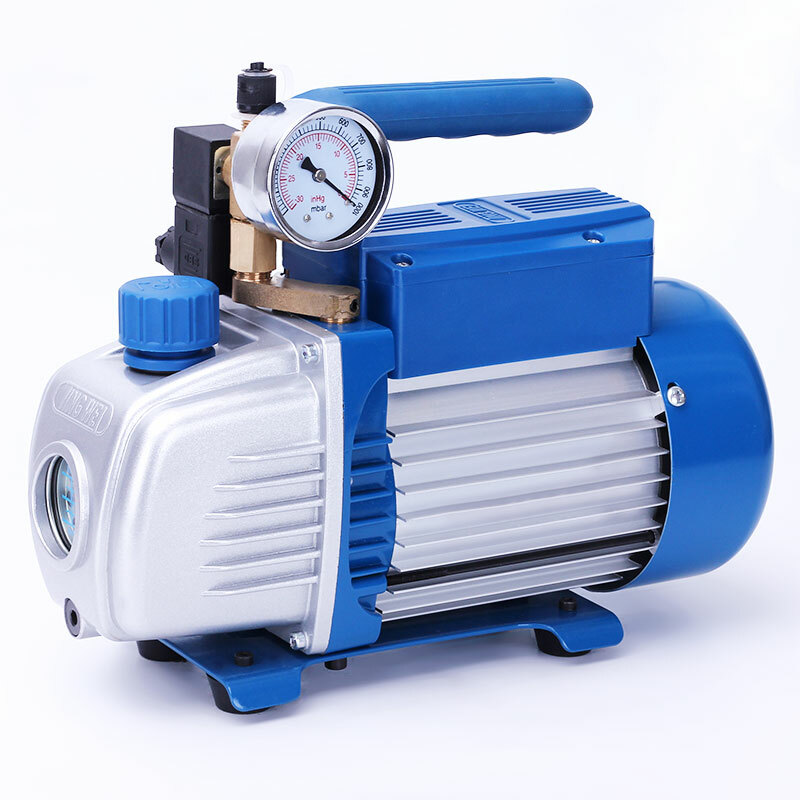 Considering there is a large amount of H202 gas and water vapor which will be exhausted into vacuum pump, value designed weak corrosion-resistant vacuum pump VRD-M series. Spectrometer, scanning electron microscope, leak detector, physics & chemistry analytical instrument etc. SF6 gas recovery, detecting instrument, oil filter etc. Vacuum oven, glove box, sapphire furnace, polycrystalline furnace, single crystal furnace, vacuum annealing, hardening furnace, vacuum sintering furnace, heat treatment furnace, evaporation coating, ion plating, sputtering equipment, LC injection, plasma cleaning, roughing pump for roots pump, molecular pump, diffusion pump.